The CDA model based validation is a tool to validate CDA documents based on model specification. The validation can be done from the EVSClient or from a webservice of validation. Actual online validators are BASIC-CDA and XD-LAB validator. You can use the tool to validate the conformance of CDA document with various specifications. 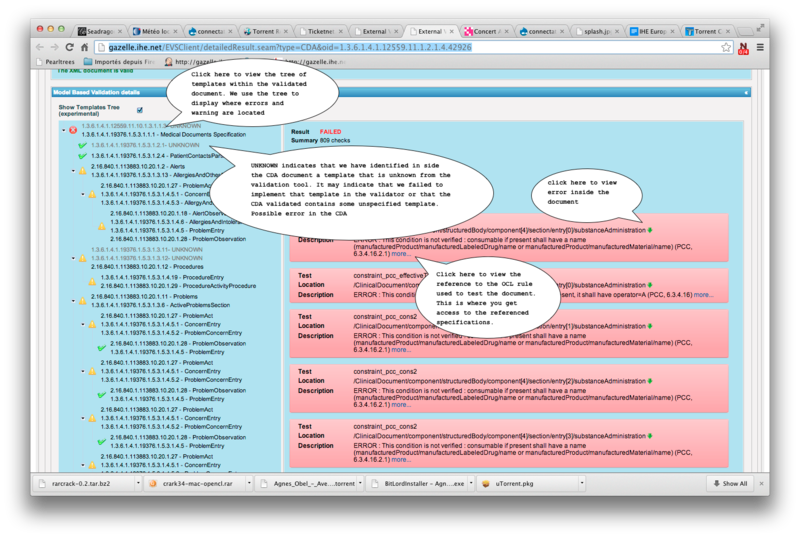 You can access to the validator from http://gazelle.ihe.net/EVSClient/home.seam. Then from the menu, you go to menu -->IHE -->CDA --> CDA Validation. 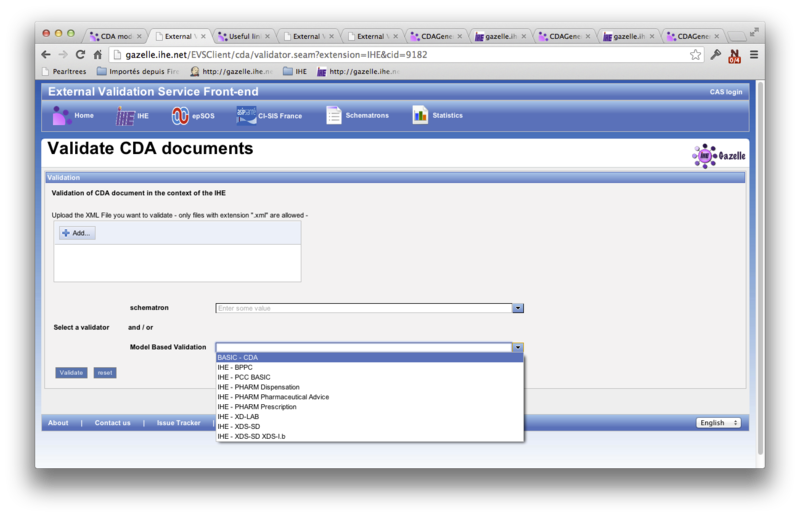 The following screen capture shows the CDA document validation page. 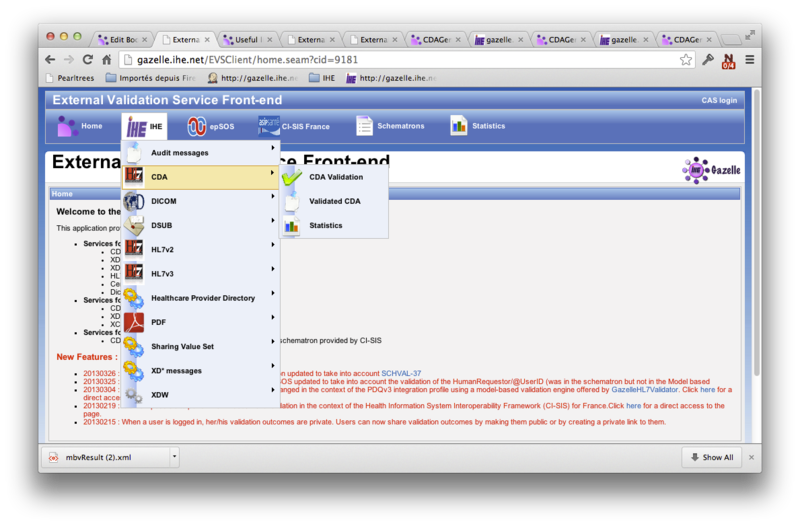 In order to validate a CDA document you first need to click on the Add.. button and upload the document to validate. Then you need to select the validator to use in the listboxes. You need to select at least one of them. To actually perform the validation you need to click on the "Validate" button. 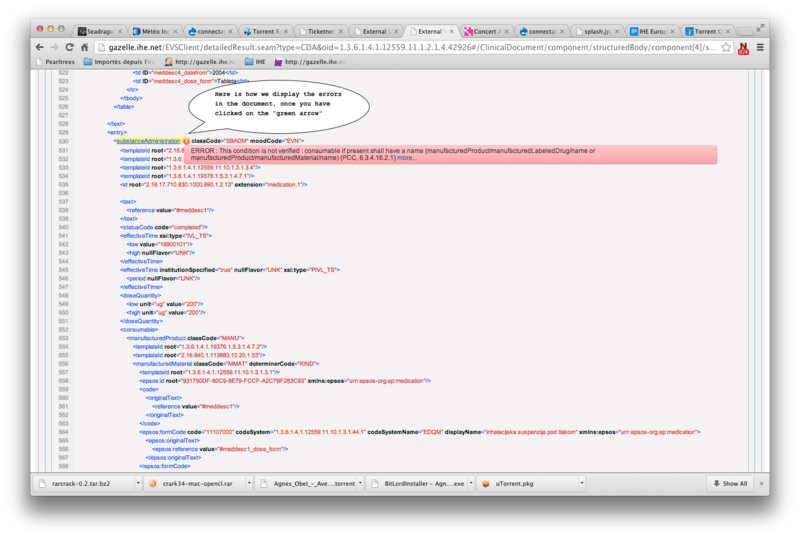 the CDA is a well formed XML document. the CDA respect the rules defined in the specification. This web service contains an important method for validation of CDA document, which is : validateCDADocument. 353 days since EU 2018.